Dr. Michael Amador was born in Pinal Del Rio, Cuba and migrated with his family to the United States in 1968 at the age of 4. He was raised in a small town in Upstate New York where he attended a Parochial school for twelve years. At the age of 17, he joined the United States Army where he served as a specialist in Artillery. 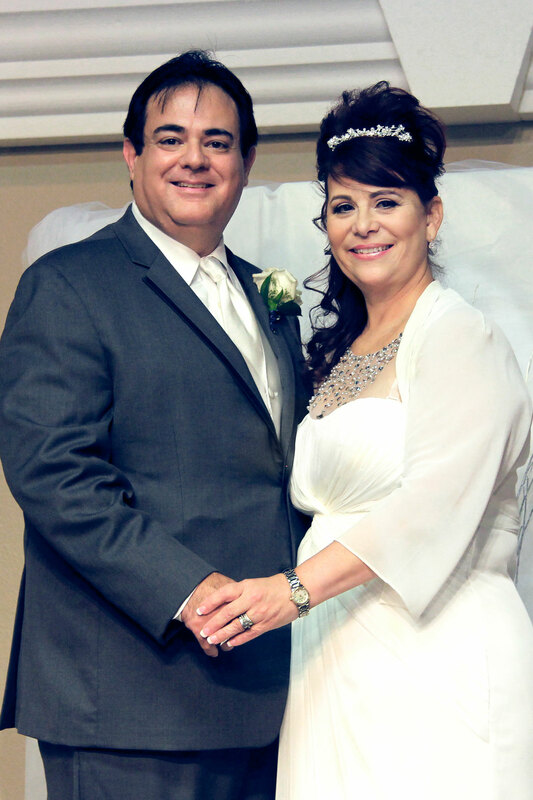 Doctor Amador met his wife at the age of 22 in Lakeland Florida and was married a year later. They share two sons and a daughter. Doctor Amador holds two PhD’s; one in Healthcare Administration and the other in Theology. In addition to his Degrees he is also a certified Christian counselor. He and his wife have been in ministry since 1988. They have served as Directors of a counseling ministry, Sunday school teachers, youth ministry leaders, cell group leaders, full-time Evangelists, missionaries and Deacons. Doctor Amador is the Senior Pastor and Founder of New Beginnings Church of North Houston and Iglesia De Nuevos Comienzos De Spring. His calling and passion is for the hurting and wounded. In his preaching ministry Pastor Amador is known as a man with a heart for evangelism. "Since 2004 we have hosted and participated in over 20 Crusades and gone on numerous missionary trips to Israel, Mexico, Haiti and Argentina. We have fed, clothed and ministered to over 600,000 children of God worldwide." Doctor Amador has a deep passion and mandate for leading the people closer to the Father. He states, “for too long man has taken their eyes off of God and placed it on man. It’s time we put our eyes back on the Father. We have witnessed some amazing moves of the spirit, from miraculous healings to multiple families being restored. We have seen and witnessed the Glory of God in our services." Pastor Amador believes that all this can only be done through the power of The Holy Spirit and the Glory of God mixed with His uncompromised Word. Our Pastor is a man of deep convictions. He believes in preaching and teaching the uncompromised word of God. Under his leadership we have built a haven of hope and a reservoir of strength to draw from, here at New Beginnings Church of North Houston.